With the original goal of bringing clutch lockout technology to the ATV industry. Previously there were no companies marketing or manufacturing lockouts for Atv's. Since this time we have added many more products to enhance the performance and or appearance of your ATV or Side x Side. We are a CNC machine shop who is known for manufacturing our own product line. A large part of our business is machining non ATV parts and Private label machining. 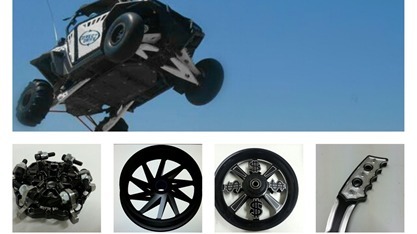 ATV products are just a small percentage of what we do. We also specialize in Industrial machining, such as high pressure couplings, small diameter transmission shafts and many other non ATV Products. We welcome all prototype, custom, production projects and private label machining. Give us a call at (503) 658-7600.